The Young Guns Are Coming! Collect the 2010-11 NHL Rookies Starting in November! Year in and year out, the Upper Deck Young Guns rookie set signals the start of the NHL season with the first true rookies to be found in packs. These highly desirable cards are in huge demand with collectors who are looking to put together sets or to just find cards of the top future stars in the league. The 2010-11 Upper Deck Young Guns set will be no different with a very talented rookie class sure to make a huge impact on the game. Upper Deck is the exclusive home for the three top legends of hockey. We are the only manufacturer that can produce trading cards, memorabilia cards and autograph cards of Bobby Orr, Wayne Gretzky and Gordie Howe. 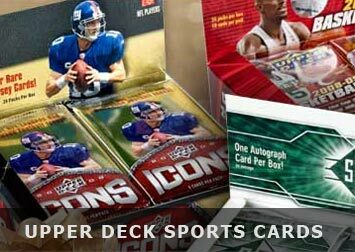 “SPx Football makes its first ever all-college appearance with a new configuration and even greater value, delivering one rookie autographed memorabilia card per box,” said Brandon Miller, Upper Deck’s Football brand manager. "And be sure to look for rare SPx Shadow Box inserts, including the autographed versions." "Ultimate Collection Basketball ups the ante again delivering more autographs than ever before with one in every pack! ", said Brandon Miller, Upper Deck’s Basketball brand manager.